Well, it’s almost here—The Big Move is TOMORROW. Although I’m no stranger to moving (I’ve moved over 15 times since graduating high school), this move feels more momentous. For one, it’s our first time moving into an actual house. For two, moves are a lot harder once you’re married and have kids and just have all the stuff that accumulates with that (this is only the third time that I’ve moved since getting married, and my first since having Raven). 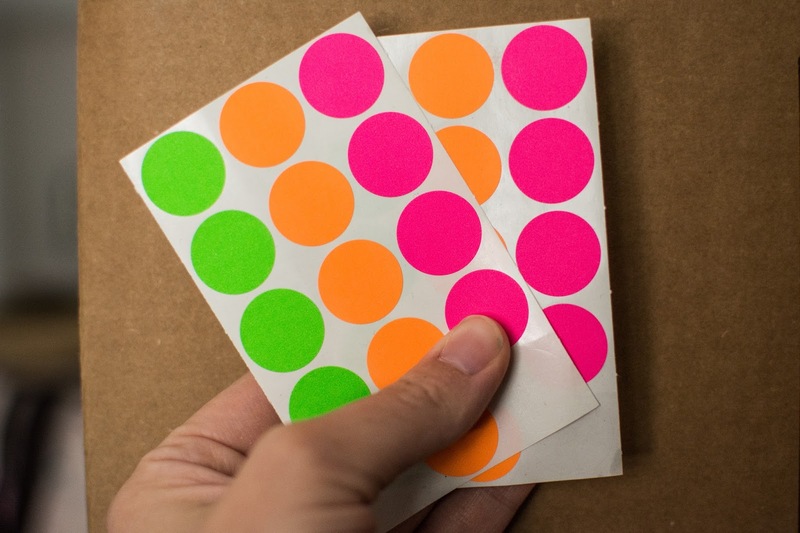 Buy one of those cheap packets of multicolored dots (I just got one pack with 3 different colors, but you could go crazy and get six or nine different colors, depending on how specific you wanted to be). Designate a color to each area of your home. For example, we designated that pink would mean kitchen, orange would mean upper living area (master bedroom, Raven’s room, front room), and that green would mean downstairs/garage. 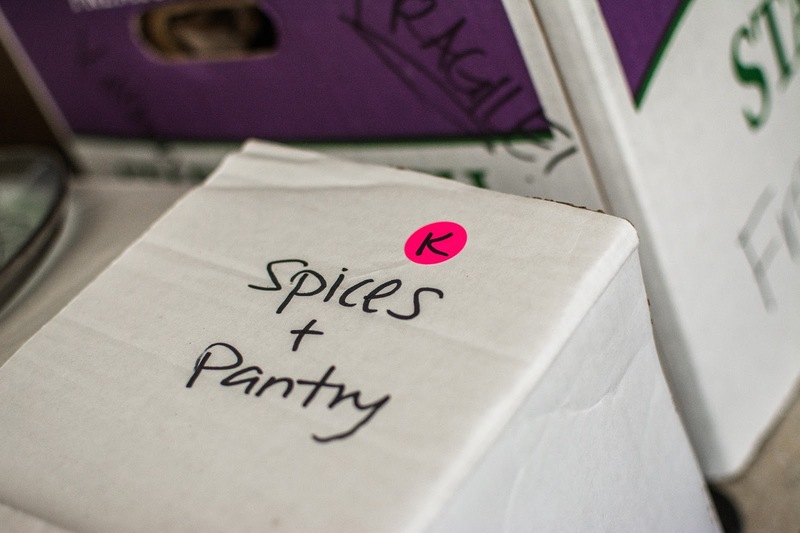 Then, as you’re packing, put a colored dot on each box to designate where it should go in your new place. That way, you save yourself a ton of time having to label everything like crazy, plus you save yourself sanity points by not having to constantly direct your movers as to where every last box should go (and usually, everything ends up in the right place, if you’ve prepped your movers as to what the dots mean). Obviously, the more dots you have, the harder it is for people helping you move to remember what they all mean. If you wanted to get fancy, you could make a colored key chart and hang it up right by the front door so people could check it as needed. Since I’m a bit lazy and hate making charts unless absolutely necessary, I just took out a marker and put an initial on each of my stickers (such as “K” for kitchen, or “MB” for master bedroom) and am hoping that after being prepped on what everything means, people will be able to figure it out. We did this before our last move, and it helped soooo much when it came to getting everything organized. Even if boxes ended up being put in the wrong place, we could quickly relocate them without actually having to open them up and dig through them right there. Also, because I had a bit more time to prep before this move, I also went ahead and did the usual labeling process for what was actually IN each box for my own benefit. However, last move, I hardly did that at all, and it STILL was a pretty slick process that saved us tons of time and energy! 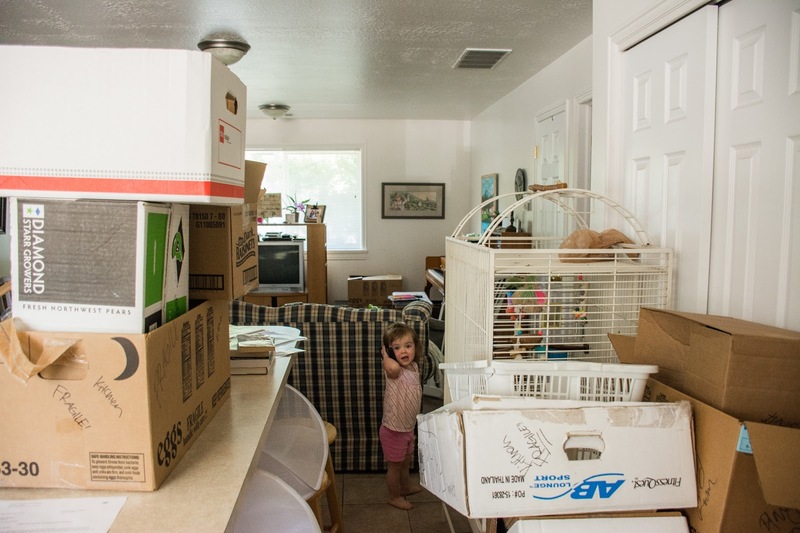 * As soon as we knew we were likely moving (so, the day we put an offer on the house), I started packing and gathering boxes. At first, I only did 2-3 boxes a day, but when we closed on the house, I started doing a bit more. Now, with less than 24 hours to go, I don’t have all that much stuff left to pack, which is why you can find me blogging today rather than packing. * Because I started packing everything so early, it gave me a lot of time to declutter in the process. I’ve donated 3 big loads of stuff in the past month, which makes me feel lighter on all sorts of levels (not to mention saves me the stress of having to pack all those unnecessary things). * A couple nights ago, so about 4 days out from the move, we packed a suitcase just as if we were going on vacation with all the underwear and socks and clothes we would need for the upcoming days, and then we packed up all the rest of our clothing. This cut down on needing to figure out what we were going to wear every day, and it also meant we could knock out the clothes earlier and have fewer last-minute things that needed packing. * Yesterday, we started using paper plates and silverware and such so that I could start packing up the dishes. * Today, I’m doing all the laundry so that I don’t need to worry about it for the first week of being in the new place (and so that I don’t have to transport a bunch of dirty clothes, which has always bugged me). * Several weeks ago, I made a list of things I needed to do before we moved, such as calling the gas company, setting up a new utility account, transferring over Internet service, etc. I also made a list of the most important things to change our address on (obviously, all my 20+ magazine subscriptions were at the top). Every day, usually while Raven eats lunch or has just gone down for a nap, I check the list and knock off an item or two. (Note: this has also helped me to continue sleeping well since I’m not worrying over whether I’m forgetting something important.) Also, as the mail has been coming and I’ve noticed correspondence that has come from places that I forgot to put on the address-change list, I put those things right by the computer so that I remember to change the address the next time I log on. We did, at least, sell that stupid bird cage before we moved. It is no longer cackling at me from the kitchen every time I try to squeeze by it. 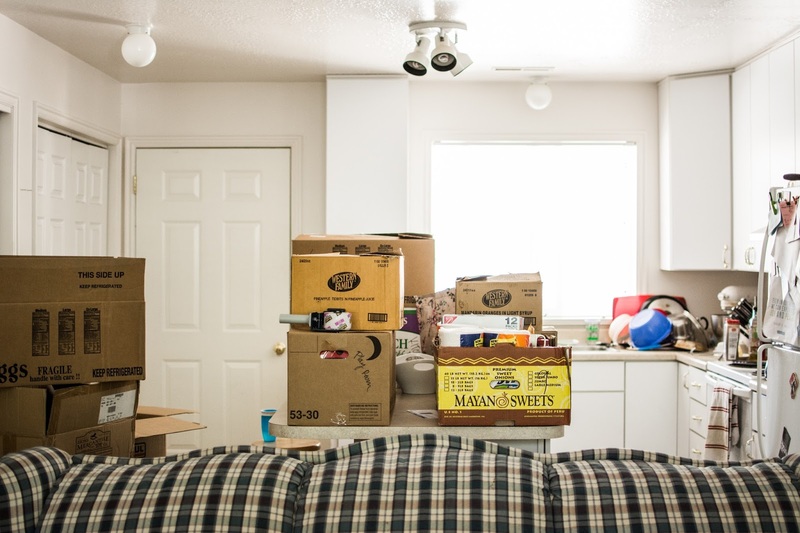 What are your best moving tips?